Casino Pawn and Gold Will Buy Your Diamonds! We have been in business for over a decade, and have truly come to learn our way around a diamond. Casino Pawn & Gold is here to give you a fair appraisal for your diamond, and will ensure that you're walking away with the most amount of cash possible. We're the top diamond buyer in town, and are here to give you the most money for your diamonds. Because you trust us. We've been in the jewelry business for over a decade, and will always do the most we can to get you the most money for your diamond. Typical diamond buyers are not like us, they're simply looking out for themselves at the end of the day. Here at Casino Pawn & Gold, we're here to serve the customer: you. If you don't feel comfortable with the deal we provided you, then you do not have to take it, but we will always give you the best deal in town, hands down. As the top diamond buyer in Casa Grande, Eloy, Maricopa, Coolidge, and Florence, we have a reputation to upkeep, and will always give you the most cash for your diamonds. You should also choose to deal with the utmost experts in town. With over a decade of diamond jewelry buying and selling, we've become masters at appraising diamonds using the four Cs: color, cut, clarity, and carat. We employ experts that have been trained by GIA-certified professionals allowing us to get you the most amount of cash for any diamond jewelry. On top of it, we're expertly trained in evaluating the precious metal that your stone is set in. We take careful consideration of the diamond and these things together to give you the best price, sometimes even equating to it being worth more than the diamond itself and other pawn shops would simply never tell you. There's a reason why the City of Casa Grande chooses Casino Pawn and Gold over any of our competitors. 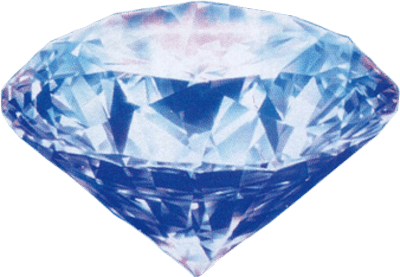 What Types of Diamonds Will We Buy? Any and all types of diamonds! Casino Pawn & Gold will buy whatever kinds of diamonds you have. Whether it's a diamond ring, a diamond necklace, a diamond bracelet, we will buy diamonds! We're the top diamond buyer you'll find in Casa Grande, Arizona City, or Eloy. Really guys, big or small, we don't care! All diamonds are as good as cash at our store, silver platinum or gold setting, we will pay you cash in mere minutes! We're the best diamond buyer because we care about our customers. Your diamonds are not just a piece of jewelry to you, but hold value. We're here to ensure that you feel you're getting your value's worth; the true value of your diamond. Test us, take your diamond elsewhere, and we guarantee you won't find a better price for diamond buyers than what we will provide you here at Casino Pawn & Gold. Proudly servicing the areas of Casa Grande, Florence, Eloy, Coolidge, and Maricopa.